Steve Huff just posted the new Panasonic 45mm review. 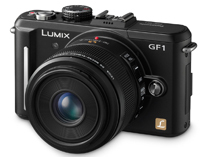 A new Panasonic G2 review has been published by trustedreviews. One thing is sure, the G2 has been the most reviewed camera before it has been even available in stores! Panasonic-Leica 45mm f/2.8 lens reviewed at photozone! Why choose a Micro Four Thirds camera? Amazon US: Panasonic 45mm lens in Stock! 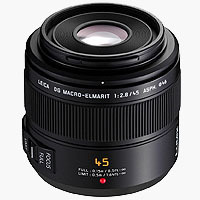 Click here: Panasonic 45mm f/2.8 Lens. Only 5 left in stock. Ships from and sold by Amazon.com. Gift-wrap available. As you know US shops rarely do have Panasonic stuff in Stock. And now Amazon has the Panasonic 45mm lens! 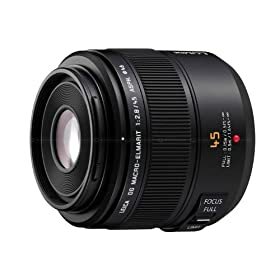 Click here: Panasonic 45mm f/2.8 Aspherical MEGA OIS Lens for Micro Four Thirds Interchangeable Lens Cameras. Ships from and sold by Amazon.com. IN STOCK for $899.95! and BHphoto has it also in Stock! What about European shops? They have the Lens in Stock since one month. And in Pixmania España the lens is cheaper than in other european countries… 775 Euro! Click on the link and you will jump directly to the Panasonic 45mm lens! DEAL: (UPDATE-> Now out of Stock) Adorama has the Panasonic 45mm lens in Stock! Adorama has the Panasonic 45mm Lens In Stock for $899.95! UPDATE-> Now out of Stock!!! I was told that also Amazon US will have it in Stock soon.